Puppet form: glow hand puppets. 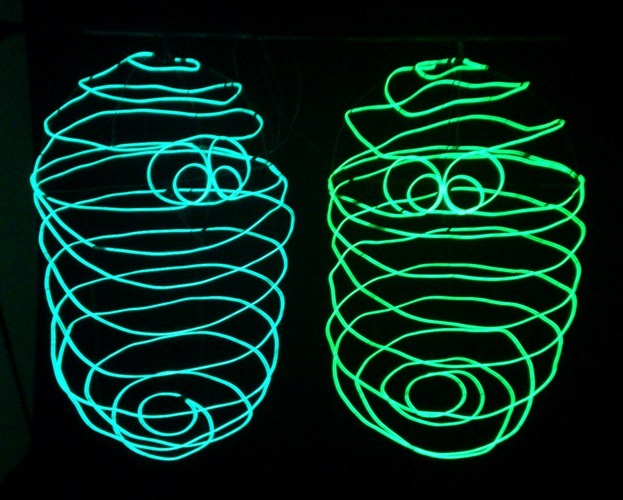 Materials: EL wire (electroluminescent wire), metal wire. First presentation - May 22, 2012, Rossiya Molodaya Concert Hall, Moscow, Russia.